‘The Grammar of Substance’ was a talk by Canadian artist Shannon Bool (lives and works in Berlin) and myself in the framework of the exhibition ‘Shana Moulton – episodes from Whispering Pines’ at Nieuwe Vide, Haarlem. The talk took place on Sunday 16 March 2014. 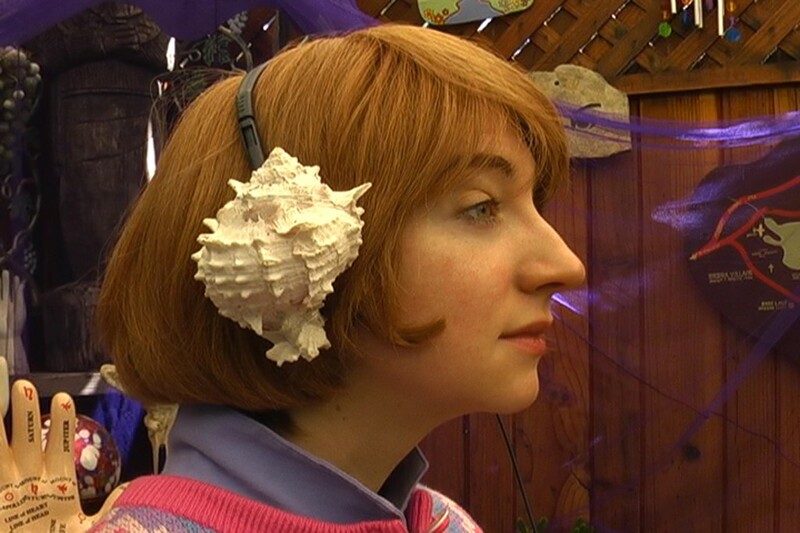 Shana Moulton is an American performance and video artist who lives and works in New York. Her work is very adequately described by Marco Antonini: “Shana Moulton’s videos and performances are in many respects the product of her own fears and anxieties. Surrounded by hysterically colourful and studiedly kitsch scenarios, her filmic alter ego, Cynthia, is obsessed with her health and well-being. In Shana/Cynthia’s hands, inoffensive and awkward medical and orthopedic devices are transformed into surrealistic machines and gateways to parallel realities that are directly linked to her perceived psychological and physical illnesses. Her adventures mirror the insecurities of whole generations while also exploiting stylistic forms and tropes excavated from the recent history of mass-mediated culture.” http://www.museomagazine.com/SHANA-MOULTON In my talk I connected Asger Jorn’s universal ornamental language, or his ideas on ornamentation, to Moulton’s the symbolic and cosmological references. Shannon Bool’s contribution is discussed on this blog in the post ‘The Grammar of Substance II’. The irrational, magic, the attribution of value and value creation, media critique and ornament and decoration are all aspects in Moulton’s work, and some of Jorn’s favourite subjects, so I decided to discuss Moulton’s work through the lens of Asger Jorn’s text ‘What is an ornament?’ from 1948. Throughout the text run a couple of recurring concerns in Jorn’s (earlier) writings: a critique on functionalist architecture, a critique on capitalism and prefabrication, his belief in the interconnectness between things (which leads to the necessity for what he called ‘a living art’), and his firm belief in the capacity of the artist to create the best possible environment for mankind. 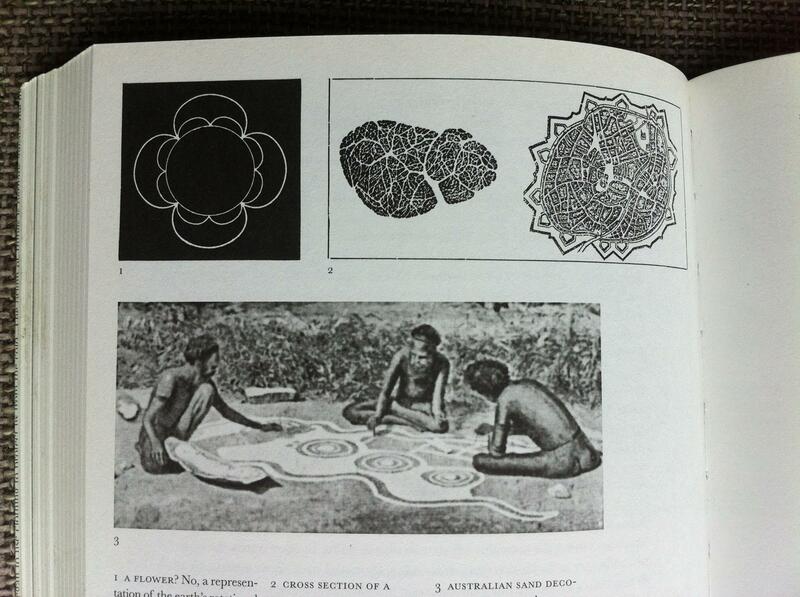 The first paragraph of ‘What is an ornament?’ is called ‘On the life and movement occurring in all substances’. It starts out stating that “Matter consists of substances in motion that have different composition values and consistencies. At the interface between two substances engaged in mutual motion, we find the catalyst for that which we describe as the wave formation of matter.” Jorn importantly adds that “There is a cohesion that exists within the reaction forms inherent in different substances and this includes that of mankind.”(Please note that in this blog entry all English citations from ‘What is an ornament?’ come from Fraternité Avant Tout– Asger Jorn’s writings on art and architecture, 1938-1958, ed. Ruth Baumeister, 010 Publishers, Rotterdam, 2011). The ornament as monumental decoration which seeks to form a finite whole, and becomes static ornamentation. Examples are: classicist Renaissance art, and various forms of neo classicism. 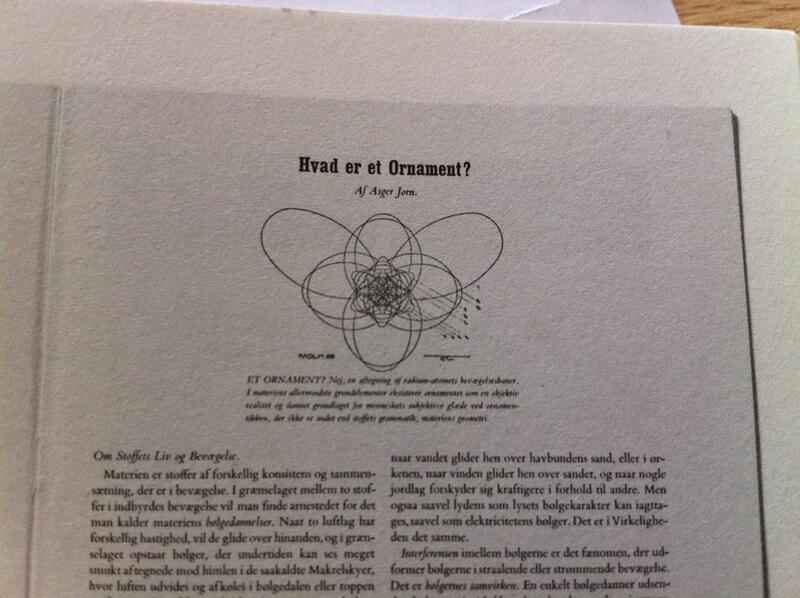 Image from Asger Jorn's, “What is an ornament?”, 1948. On another page Jorn combines a representation of the earth’s rotational curves, a cross section of the human muscle, the map of a Mediaeval town and ‘Australian sand decoration’. Jorn’s remarks about the interconnectedness of things and humans, of matter in general, about how “everything is reflected in everything else” made me think of some of the images from Shana Moulton’s ‘Whispering Pines 4′, where her alter ego Cynthia goes to see a spiritual healer for her hands and gets sound medication. Let us for now return to Jorn’s theory of materiality, which is inspired by thinkers such as Karl Marx, Susanne Langer, Gaston Bachelard, and the physicist Niels Bohr – all of whom emphasized – in different ways – the role of physical matter in human thinking. In ´What is an ornament?´ Jorn states (as always, from the perspective of artistic practice) that “the materialist acknowledges that as a human being he is part of the materials and substances, can not be separated from nature.” For the materialist artist, Jorn says, human thought processes are instigated by the substances themselves, and are synonymous with the reaction form which these substances have, because thought (which in itself is immaterial in nature) cannot avoid the natural laws pertaining to matter. For the material artist, nothing (not even thought processes) can be immaterial in the deepest sense of this word. I would like to relate these thoughts to the interaction between ‘Whispering Pines Cynthia’, and the objects from the health industry, the overlooked marginalia, and the poor thrift store objects that she surrounds herself with. In the majority of the ‘Whispering Pines’ works, to Cynthia’s surprise many of the objects turn out to possess totemic power, agency lies in the objects, and their properties and associations acquire the power to shape the narrative. And even though the results are never what Cynthia or the viewer might expect, the objects’ magic sometimes even turn out to possess healing powers. 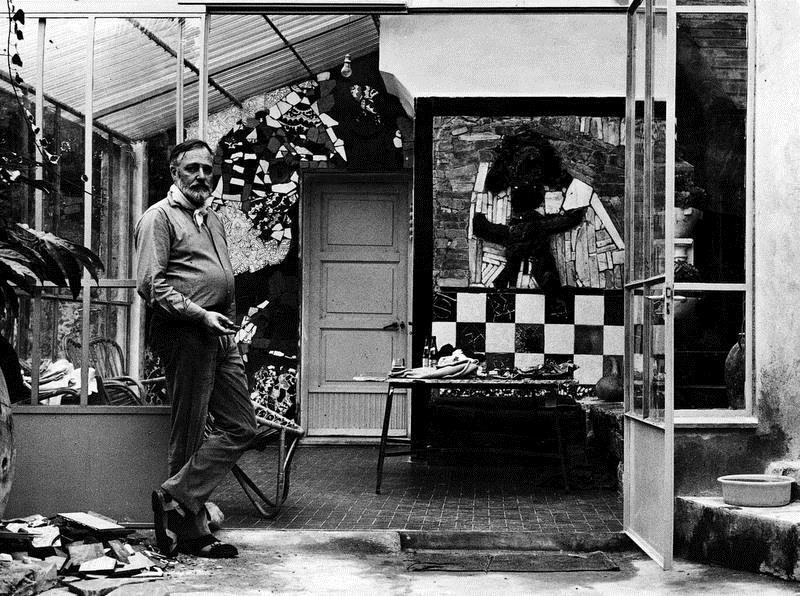 To Asger Jorn, and other members of the international Cobra group (1948-1951) which he helped establish, the idea to look at the world and depict it through a child’s perspective as it were, was of great importance. In the case of Jorn it was a decision informed by a desire for (social) change. I wondered in what way this also could apply to Shana Moulton. In the light of this it was interesting to read that in one online interview, Shana said her tutors at De Ateliers in Amsterdam were very critical of her work, and asked her if she was trying to make children’s television. Perhaps they were referring to Shana’s use of the idea of totemic power in objects, to her depicting a world of animate things rather than passive objects? It is exactly this “vitality of matter” that Shana Moulton is emphasizing in an artistic and humorous way in her work, and which also seems of crucial importance in Jorn’s words, and Jorn’s works – both in terms of subject, and in terms of dealing with the material. Based on ‘What is an ornament?’ and other texts by Jorn, I would conclude that according to him, the material world cannot be seen as passive, pre-shaped objects waiting for active subjects to observe and describe. It has its own agency and is constituted partly by its own force and partly by the way we perceive it. I find it important to stress that with the parallels that I draw between Jorn and Shana Moulton’s work (who is obviously flirting with New Age) I have no intention to communicate that Jorn’s notions on interconnectedness have anything to do with holism. Philosopher Tim Morton critiques holism for “being ironically opposed to a truly profound ecological view”. He says: “The reason is simple: when you start to think about how according to holism the whole is always greater than the sum of its parts. This means that at some level there is already fragmentation. It also means that the parts are ultimately replaceable. This gives rise to all kinds of ethical consequences, for instance the idea that it doesn’t matter much to Planet Earth if humans become extinct, or even the idea that humans are a kind of virus—a whole could have faulty components that might need to be cleansed or replaced.” http://philosophyinatimeoferror.com/2010/05/10/tim-morton-the-interview/Morton’s critique explains why I felt a great need to come to terms with Shana’s tongue-in-cheek flirtations with New Age, during the preparations for the talk at Nieuwe Vide, as I have no intentions to create the impression of Jorn as ‘New Age avant la lettre’!. It is in this culture that Shana’s work needs to be contextualized, in relation to which, as she also explains herself in our conversations “her goal has been to ride some line between absurdity and sincerity.” I would conclude that – the core question apparently being whether the whole is a sum of parts, or an undividable whole – Shana eventually seems to undermine the ‘holistic’ perspective of New Age. 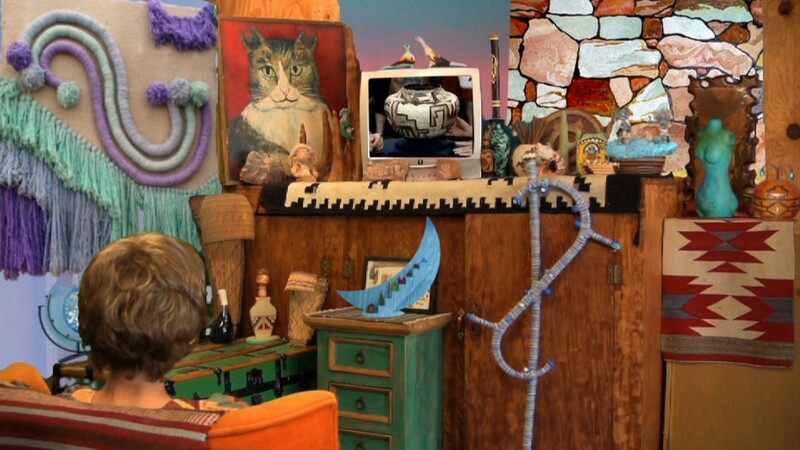 As Cynthia always seems surprised about the ‘totemic’ power of the objects, doesn’t seem to have any control over the totemic actions taking place, the ‘vibrancy’ of the objects, to speak with Jane Bennett, seems intrinsic, and not added to the existing object. This is a crucial thought for Bennett, which indicates that the whole is not the sum of parts, but that everything is already there. 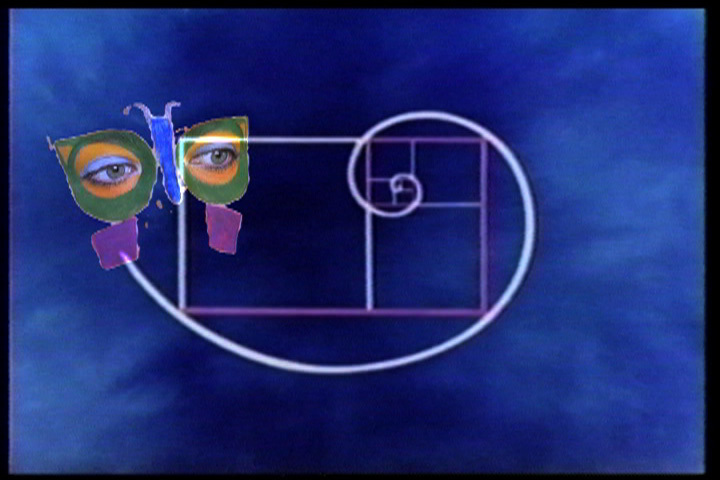 Also, Shana’s aesthetics flirt with New Age, but her very rudimentary video technique, quick solutions and spontaneous-looking editing process, undermine and contrast with the New Age ‘all-is-beautiful and harmonic aesthetics’ at the same time. Here, we see no harmonious synthesis, but a disjunctive one, that makes it impossible to complete immerse in the spirit of New Age. 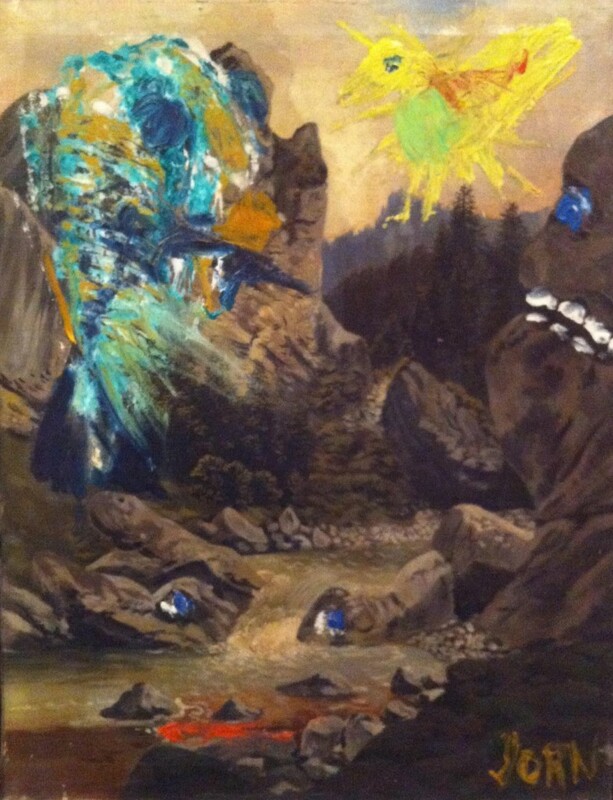 Let me conclude by observing that Asger Jorn’s attitude is probably best characterized as ironic, humorous, playful, and self-contradictory and that luckily, Shana Moulton’s ornamented universe seems to have come into existence with a similar attitude. This entry was posted on Thursday, May 29Public Sessions and Lectures, What is an Ornament?. You can follow any responses to this entry through the RSS 2.0 feed. You can leave a response, or trackback from your own site.